Guide: bulk bespoke chocolate prices. Jesters! - A NEW filling for our Bean Dispenser. 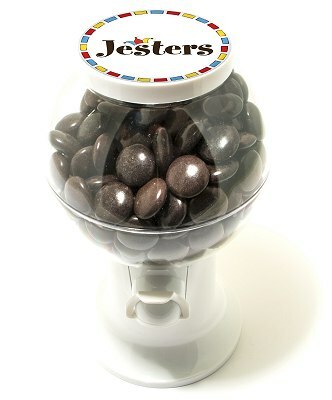 Which is fully branded product with a personalised domed label on the lid and 4 x 200g bags of Delicious Jesters.